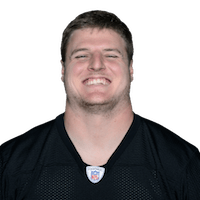 McGee (Achilles) wasn't tendered a contract by the Steelers earlier in the offseason and is now an unrestricted free agent, freelance NFL writer Howard Balzer reports. Analysis: McGee missed the entirety of 2018 after suffering a torn Achilles' tendon at OTAs last May. It's unclear where the 27-year-old stands in his recovery. There are no videos available for Jake McGee. Click here to view all videos.